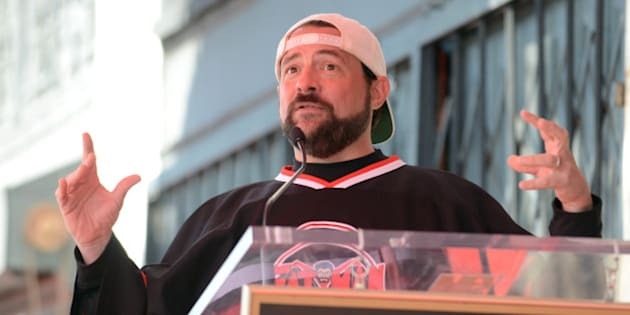 My university graduating class of 2000 had the privilege of having Kevin Smith as the convocation speaker where he received the Honorary Doctor of Humane Letters from Illinois Wesleyan University. Kevin Smith the actor/writer/filmmaker, aka Silent Bob from the indie hit film, Clerks, has been Dr. Kevin Smith since the convocation day. Unlike typical graduation convocation speeches delivered at university campuses, ours involved narratives of memories of pot smoking, hashish bees on campus dorm rooftops, a wandering horse in the dean's office, and a pleasant and not so pleasant experimentation with threesomes! None of it was true of course since these so called "manufactured memories", as narrated by Kevin Smith, was based on total fiction as part of his inter-locution on life on campus if he were a Wesleyan student. Go out and seize those positions from the lame-ducks. Fight for it. Just be who you want to be in life. The one other thing I vividly remember that was not part of his formal life lesson list was something he mentioned during his opening statements. He alluded to the soon to be delivered speech and its impropriety and advised family members of the graduating class of 2000 to leave as they may not like some of the things he had to say. I do not recall anyone leaving the convocation grounds before, during, or after the speech. As graduates from one of the oldest liberal arts institutions in the United States of America, we were encouraged to have an open mind to ideas that offend and run contrary to our personal beliefs. One does not necessarily have to agree with every counter viewpoint, or even have to listen to it, but free speech was never muffled under the pretext of "offending" the snowflakes who feel violated their "safe space" on campus is under attack. There have been several reports in the recent past years of student disruption of controversial speakers on campuses and strangely enough, the vitriolic comments made against it comes from the very students of the campus who on any given day will clearly identify themselves as left leaning or liberals or democrats but fail to introspect their contrarian viewpoint of shutting down alternate views; Not just protesting or presenting counter points, but rather entirely closing off any possibility of speech that differs from their own social morality. A societal rupture is in play. Middle ground dialogue and reason is dead. Extremism viewpoints from all spectrum - left leaning, right wing - is on the rise and not just in USA but very much so in Canada as evident in both the political arena as well as on university campuses. "You may leave as you may not like what I have to say." In the free world economies, we have the greatest gift that freedom and democracy offers - choice! And the ability to make a choice is based on assumption of rational or heuristic decision making ability within us. 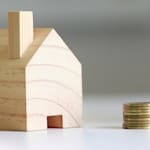 Should that assumption fall apart, we start treading towards elimination of choice, from which one can infer the eventual downfall of free and democratic society. So what does all of this have to do with fake news and Alberta? Well, let's consider the biggest coolest bastion of fake news that rears its head in all its fantastic glory in Alberta every year -- the Calgary Comic and Entertainment Expo. The world of comics is after all nothing more than glorified synopsis of fake news or in the words of Dr. Smith -- "Manufactured Memories". If you grew up reading comics, especially the ones from DC and Marvel universe, you probably have fond memories of your childhood innocence that was immersed in this world of fantasy of superhero comics. It was a safe space, one relived over and over through the modern movie incarnations of famous superheroes. Fake news has truly never been so much fun. No one grew up confused over separation of comic book fantasy and real world. One entered in to the realm of the comic, momentarily, then removing oneself from it when the class bell rang! Or mom called you down for supper! As of the most recent Comic Expo, there has been no report of Iron Man duking it out with Captain American on entry gate two in BMO centre. We love our Comic book heroes, villains, stories, movie remakes, and Comic Expos for the momentarily release from real world in to fake world of fantasy. Which is a good thing to have. So if we truly have the ability to discern a world of comic book story from reality, and can transition smoothly between that world and this world, why is it that we fail to use rational thinking when reading so called "fake news" stories published by "crooked media". What is it driving the generational cohorts in campuses across North America to shut down counter views on the pretext of offense even before such words have been spoken. These are thought provoking dialogues that must be engaged on campuses, bars, social gatherings and in the media. I wonder what Dr. Kevin Smith would have to say to a convocation class of 2017 about such advancements in communication disruptions observed on campuses. Well, he will be visiting Calgary for the 2017 Comic Expo. Maybe you can ask him if you see him!